By itself, a spreadsheet filled with data isn’t all that helpful. Business leaders, especially in healthcare, often have a difficult time understanding the data’s significance and the value of tracking it. However, if they understood how to use all that data effectively, they might be surprised by how much of an impact it could make on their business. 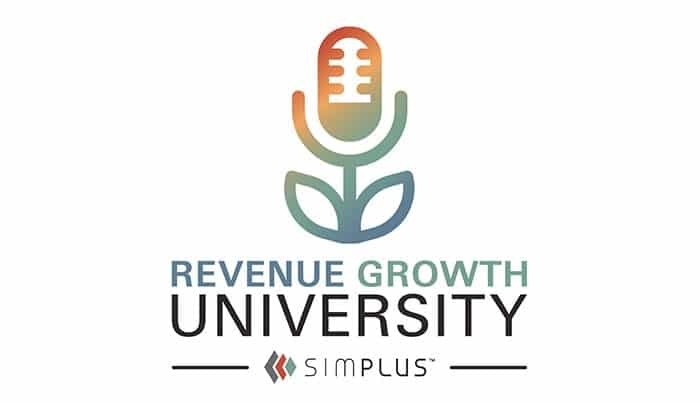 In the latest episode of the Revenue Growth University podcast, Dr. Amy Osmond Cook sat down with Riley Adamson, CEO of Cortex, a software platform improving outcomes for post-acute healthcare, to chat about how to help business leaders understand how to track and convert data into business intelligence. Amy: How does tracking data, especially in healthcare, help you grow your revenue? Riley: There are three or four major ways that we have seen people using healthcare data to leverage their networks and grow their businesses. One of those ways is [by] simply using that data to show your network, providers, and partners how well you’re doing. Wherever you’re getting your patients, showing them that you’re doing a good job and that the data is sound is so important. A lot of times, these people will have a good understanding of data and the complexities of data and the bias of data, so [figure] out to show that the data you have is accurate and really represents what you’re trying to show. Amy: Hospitals are choosing [which] post-acute providers to work with based on this data, correct? Riley: Yes. And a lot of times, especially in healthcare, we see companies working with really old data—data provided by the government that’s months or even years old. It doesn’t reflect the current status of many healthcare providers, but it’s still being used. It’s a challenge for hospitals to navigate any relevant and accurate data, and it’s also a challenge for providers to collect and provide relevant data as well. So you have a system that is making real-time decisions based [on] old information. Amy: What’s another revenue benefit to tracking your data in healthcare? Riley: Another benefit is tracking and maintaining patient loyalty. A lot of times, healthcare providers will do a fantastic job helping a patient heal and get back on their feet. Sometimes, these patients need care again in the future, and it’s really easy to lose patients to competitors or other entities. We have ways of helping clients learn how to leverage data to help patients remain loyal. One, we have nurses that call these patients on a regular basis to make sure they don’t have any concerns. We also use data to provide hospital alerts for our post-acute clients to let them know when they’re back in for care. This is really important: it gives these post-acute care providers a chance to jump on the situation and take care of these returning patients again. To hear more about how to leverage your data in healthcare, click here to hear the full podcast.